There are a multitude of reasons why a person may contemplate the need for family law help in Texas. The most common and well-known reason for people to look for Texas family law help is that they are thinking about getting divorced from their spouse. Although divorce is the most talked about family law topic in the state of Texas, it should be pointed out that family law covers wide ranging issues such as, Texas father’s rights, child support, child custody (conservatorship), alimony, and property distribution. Texas Family Laws are Confusing – We Can Help! Texas has its own set of complex laws that govern how these topics are decided in court, and they are not easy to understand. With the advice and help of a Texas family law attorney, you can make sense of these confusing laws and understand what your rights are. Our team of Texas family law professionals is happy to offer free consultations so that you can work through this difficult time in your life without worry. Anyone that has to go through any one of the many family law issues in Texas will tell you that it is not enough to just have a knowledgeable advocate on your side, but one that is compassionate and understands what you are going through. Tens of thousands of individuals in Texas are involved in some type of family law issue every year, so know that you are not alone and that our team of experts has been there and dealt with your worries before. Don’t let the stress of family law court get the best of you, let our team relieve your anxiety by speaking with someone for a free consultation and get the Texas family law advice that you and your family deserve. Texas divorce laws are as big as the state and as complex as any state in the Union. Because of this, some lawyers that are not skilled Texas divorce attorneys find themselves bogged down reading, understanding, and putting the laws to use for their clients. This is not the case with our team. You can rest easy knowing that your divorce is being handled by a professional that understands and cares about your needs and knows how to make the law work for you. It doesn’t matter whether you are expecting your divorce to be contested on issues such as child custody (known as conservatorship in Texas), child support, alimony, visitation, property distribution or even an agreed uncontested divorce, because an experienced divorce lawyer knows how to handle everything under the sun. Literally hundreds of people every single month contact us for Texas divorce help and advice – and this helps us sharpen our swords to fight on your behalf. The first thing that many people do when they decide that the honeymoon is over and it is time to part ways is to become angry with the other spouse for hurt feelings or loss of trust. Because divorces are normally caused by these emotions, it may seem as though you will not be able to come to an agreement on how to part ways in an amicable manner. This then becomes a contested divorce and battles often occur over disagreement as to child custody, bank accounts, property, and other things that were acquired during the marriage. Because Texas is a community property state, the rules affecting who gets what property are complex and it is always best to seek professional Texas divorce help and advice. In stark contrast to a contested divorce is an agreed divorce (also known as an uncontested divorce). This is a process where the parties to the divorce decide that they can get along one last time to avoid the painful and costly litigation process and decide to work out the issues in an amicable manner. Our team knows how to assist in mediating conflict through the collaborative divorce process. But keep in mind that even though we attempt to get couples to work together, we know that sometimes a fight cannot be avoided. Rest assured that our team of trial tested Texas divorce lawyers have the skills to get the job done the right way. When people need serious family law help in Texas, they come to us first. Texas child custody matters (or “conservatorship”) are some of the most highly contested and heated of all legal fights. Our goal is to provide the state of Texas with child custody help and advice that is personally tailored to every individual that we speak to so that they feel comfortable with the process. Texas, like many other states, follows what is known as the “best interests of the child” standard of determining the custody and visitation rights of each parent. This is based on a number of factors, such as: the relationship between parent and child, the health, safety, and welfare of the child, the health of the parents, where each parent lives, and each parent’s finances. Many other factors go into determining the best interests of the child standard, so it is important to get professional child custody advice in Texas by calling us as soon as possible to get the family law help you need. Texas has its own method of deciding custody that is different than most other states’ common “sole” or “joint” custody. Here in Texas, the term “custody” is not used; rather, Texas family law courts use the term “conservatorship.” Two types of child conservatorship exist in Texas: “managing conservatorship” and “possessory conservatorship.” Managing conservatorship gives the parent granted these powers the ability to be in charge of the majority of the child’s affairs, such as: education/schooling, medical care, religion, and involvement in extracurricular activities. Parents granted with the right to possessory conservatorship only have rights of visitation with the child, usually by a set visitation schedule entered by a Judge. Getting the rights you deserve means starting out with the best possible child custody help (or Texas conservatorship advice) possible, and that means contacting someone that has fought and won dozens of these types of court battles! 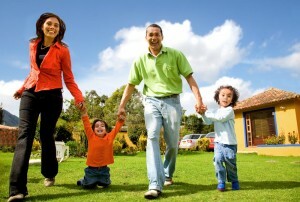 Both mothers and fathers are responsible for the care and upbringing of their children in Texas. This includes being financially responsible and supporting the children with the money they need for clothes, a roof over their heads, and food. The parent that has the primary residence of the child is generally deemed to be the parent to whom child support should be paid for the benefit of the child. Texas child support laws set the amount of support based on a percentage of the paying parent’s net income (after taxes, etc.). Texas child support guidelines are as follows: 20% for one child, 25% for two children, 30% for three children, 35% for four children, 40% for five children. Even though Texas child support guidelines appear to be a straight forward calculation, it is not always this strict formula that is used. Factors affecting either parent can raise or lower the amount of child support that is ordered. An example would be having a special needs child. A court may order child support to be above and beyond the guidelines percentage amount because of the needs of that particular child. Likewise, if a child is working part-time or the paying parent has lost his or her job, the amount of support may be temporarily or permanently changed to a lower amount. The only way to know if you are paying or getting the right amount of support for your particular situation is to speak with an expert that can give you the proper Texas child support advice and help that you need. Get the Texas Family Law Help and Advice You Deserve! It has never been this easy to get Texas family law help and advice. Giving our team of professionals a call or filling out the form on this page is the fastest and easiest way to get family law help in Texas ever – and connecting with a family law lawyer through our site is 100% free! Texas family law rules are overly complex and extremely difficult to understand. But you don’t need to do it alone. Working with a proven Texas family court expert is your first step to getting what you deserve and what your family needs. Don’t waste any more valuable time, get started today with the family law advice you deserve!